Decorative street lamps along the Post Road in downtown Fairfield. 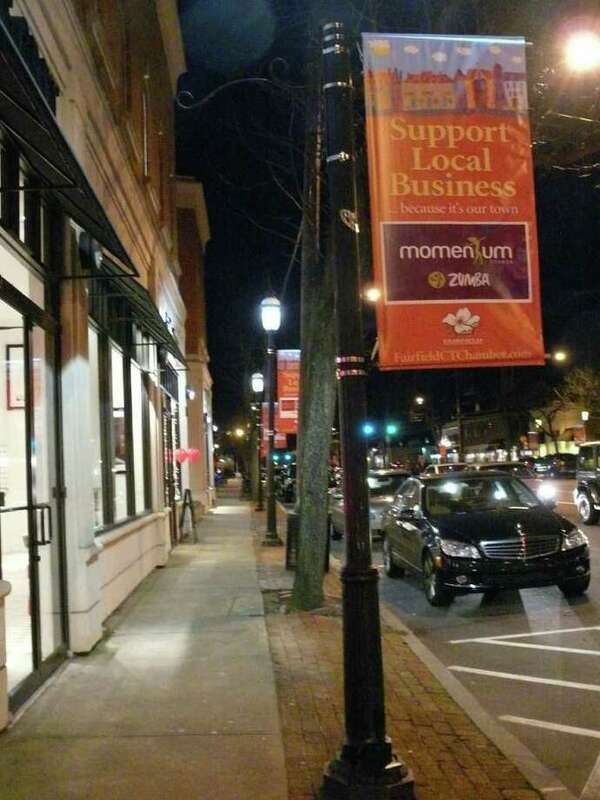 Board of Selectmen members decided they need more light shed on a proposal to replace decorative lamp posts downtown on the Post Road before they flip the approval switch. The selectmen postponed a vote Wednesday authorizing First Selectman Michael Tetreau to sign a contract that would enable the town to receive grant funding and a no-interest loan to cover most of the costs of the $133,560 project to replace the incandescent fixtures on 109 street lamps with energy-saving and longer-burning LED fixtures. The town's share of the cost would be $18,696, while it would receive a $14,684 grant and a $100,000 no-interest loan. Assistant Public Works Director Ed Boman said the town would save about $20,000 a year since the new bulbs last about 25 to 30 years, compared to three to five years for the incandescent fixtures now in use. The lamps in front of Victoria's Secret at Post and Reef roads have the LED fixtures, Boman said, and he has not received any negative comments about the illumination. In addition, he said electrical costs would drop from $22,157 a year to $1,980 a year. Part of the cost savings would come from having the lights on only from 4:30 p.m. until midnight, thanks to new timers. Now, Boman said, the lights are on from 4:30 p.m. to dawn. But the hours the new street lights would be on proved to be a concern for selectmen, particularly Selectman James Walsh. "We've had an influx of people being driven by the economic development, and a number of the restaurants and bars are open past midnight on Thursday, Friday and Saturday," Walsh said. "It seems to me they should be on after midnight." Boman said extending the hours could be done, but it would mean the agreement with United Illuminating for the loan and grant would have to be reworked. In addition, he said, the town's savings would be lower. He admitted, though, "I didn't think of the restaurants." "We should look our best when they arrive and when they leave," Tetreau said. Boman said he has not received complaints about any of the lamps that are currently out, adding that they are there for decorative purposes. There are also standard street lights along downtown streets. Even if just decorative, Walsh said, officials also should get a legal opinion if the town would be held liable if a street light was out and someone fell. The selectmen agreed to postpone any action until they meet at 4:30 p.m. Jan. 18 in Sullivan-Independence Hall. They also agreed to ask Community and Economic Development Director Mark Barnhart to check with downtown merchants to see if they have strong feelings about when the decorative lamps should be turned off.